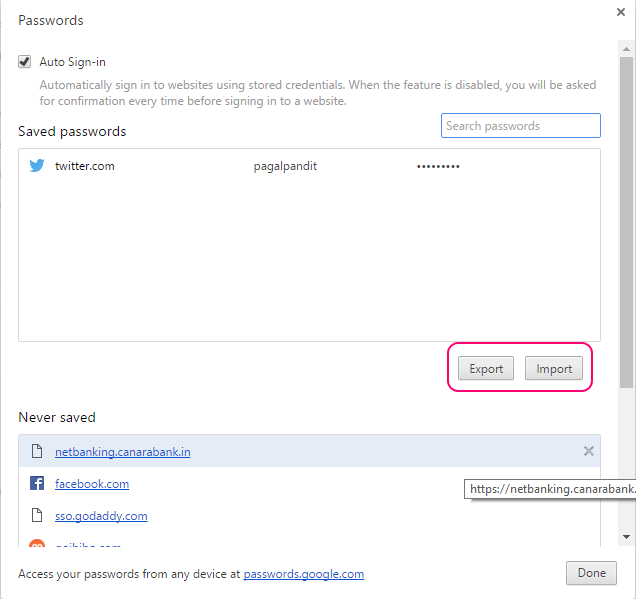 Google chrome new password export / import feature lets you export and import password via a simple CSV file. This feature can be quite handy. 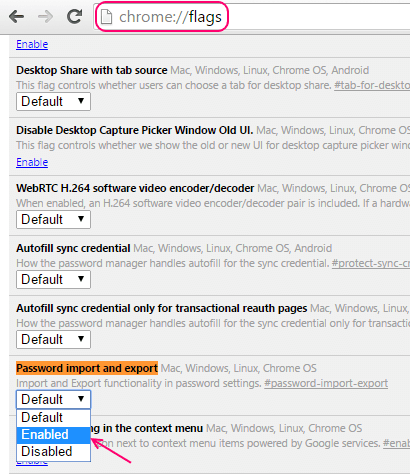 Currently, to use this chrome password import and export feature, it should be enabled in your chrome flag settings. Here is how to do it. #1 . Go to chrome://flags in your chrome browser. #2 . Now, scroll down and find Password import and export. #3 . Now, from the dropdown choose enabled. Your password import and export feature of chrome is now enabled. #4 . 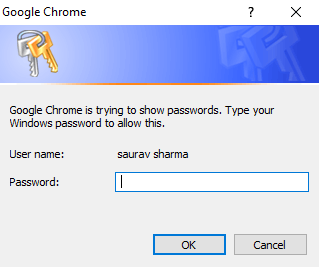 Now, go to chrome://settings/passwords. you will see your export and import buttons just below the list of saved passwords from the websites on which you have let chrome remember the passwords in the past. #5. Just click on export. The Operating system login password will be required to authenticate export. and the password will be exported in CSV format. You can easily open and see the list of passwords and username of the respective URLs. The CSV file will contain the information as given below order. #6 You can always enter the information in this order and can import on any other device and start using those saved passwords on chrome.